LONDON – British travel analysts OAG have released their annual lists of the world’s most punctual airports and airlines, and while the Caribbean failed to gain a place on either, several carriers serving the region made the grade. To compile the listings, OAG crunched the figures from around 54 million flight records using full-year data from 2016 – the largest ever number of flights that it has tracked in a single year. And with record-breaking passenger volumes and ever-expanding flight networks, airlines and airports have faced a big challenge keeping everything on track, something OAG says should be applauded. “Whether it is a 17-hour long-haul service or a one-hour connecting flight to a hub, the accuracy of both scheduling the service and delivering the stated on-time performance is incredible; especially when compared to so many other forms of transport,” the travel analysts said. 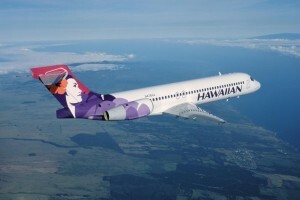 Taking the top spot in the airline’s category as the best timekeeper in the world is Hawaii Airlines. The carrier is also one of 2016’s success stories, having shot up the scoreboard from ninth place to the top slot over the last 12 months. OAG revealed that last year 89.87 percent of the Hawaiian carrier’s flights arrived or departed within 15 minutes of their scheduled time. Placing second and third were the flag carriers of Panama and the Netherlands, Copa Airlines and KLM, while Australian carrier Qantas, in fourth place, was also the best-placed airline in the Asia-Pacific region. Rounding out the top five was Japan Airlines, followed by UK airline FlyBe; Alaska Airlines; Spain’s flag carrier Iberia; the UK’s Monarch Airlines, and Singapore Airlines. The largest airline to make OAG’s top 20 was Delta Airlines, a “remarkable achievement,” OAG said, for an airline operating such a huge number of flights. The most punctual major airport for the second year in a row was Japan’s Tokyo Haneda, followed by Sao Paulo Guarulhos, Brazil; Detroit; Atlanta; Minneapolis; Seattle; Moscow Sheremetyevo; Singapore Changi; Munich, and Phoenix.